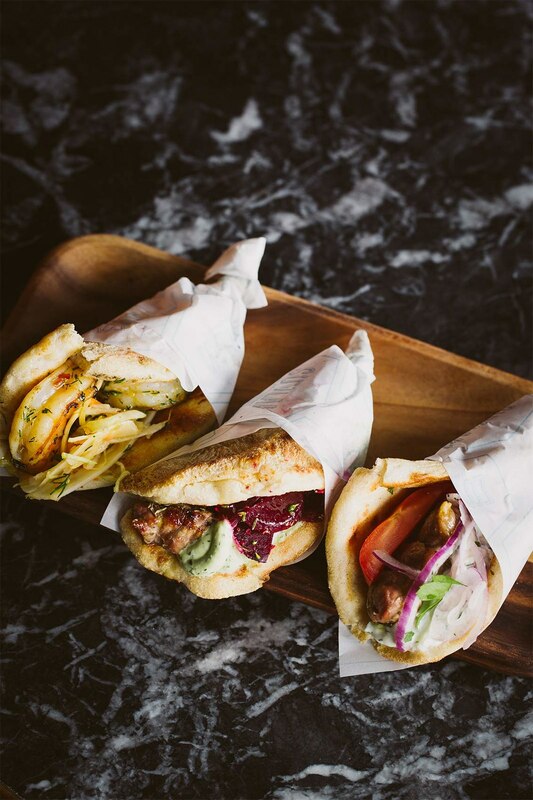 Suvlaki, a mouth-watering meat skewer eaten on its own or in a delicious pita wrap, has become Greece’s national street food ever since, in the 1950s, suvlaki shops took the country by storm. A note on our ingredients. Here are a couple of important facts on the science behind the perfect suvlaki. All of our meat is delivered to us fresh. We choose precisely the cuts of meat that make for the perfect suvlaki, and prepare the sticks ourselves on the premises every day. 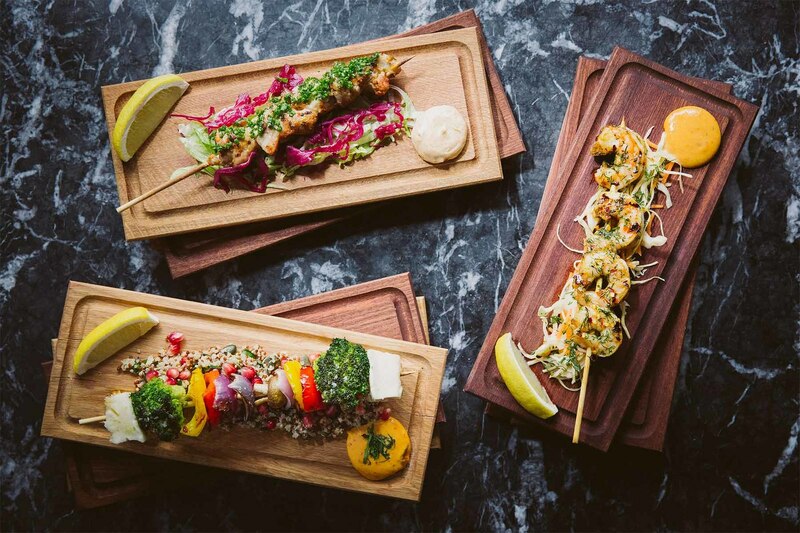 We use a robata-style grill and top quality charcoal – no chemicals/additives, just pure, highly carbonised wood, from domestic, sustainably managed, coppiced woodlands. It is a time-honoured tradition. Now relax and enjoy the food and vibe, you're in good hands. Our co-Founders from Athens, share an obsession with good food. Food that is fresh, healthy, and responsibly sourced. Oh, and insanely tasty! 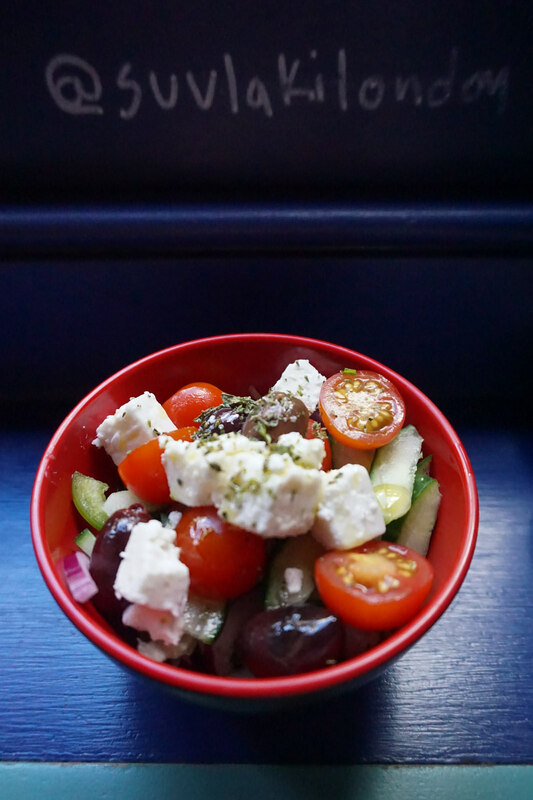 We also think Greek ‘suvlaki’ – which means ’little skewer’ or simply ’stick’ and is synonymous with street food in Greece, is the tastiest and healthiest way to eat on the go. Which is why we decided to come together and bring this little wonder of Athens’ past to the heart of Soho and now to Shoreditch. Elias Mamalakis is a towering figure in the culinary scene of Athens. His name is synonymous with good, honest, traditional Greek cuisine. At Suvlaki he is marrying old and new bringing to your plate authentic suvlaki at its best! 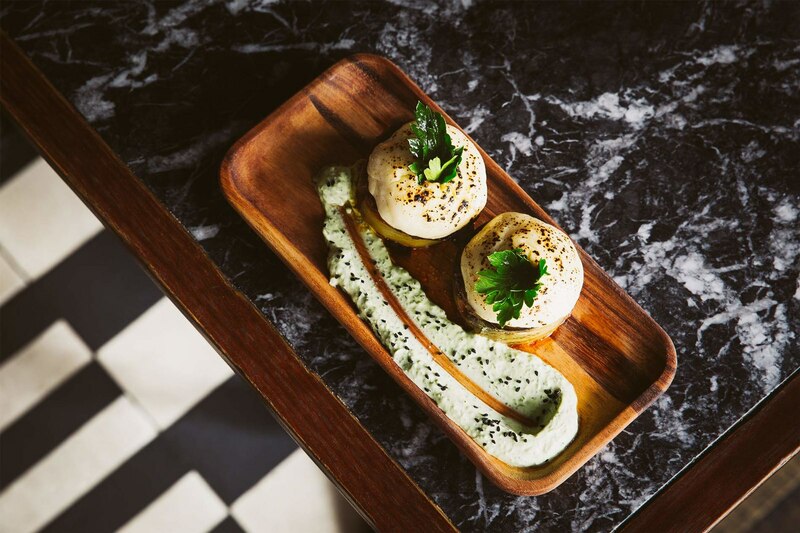 Formerly Director Cuisine and Executive Chef of Tamarind Kitchen, Alfred Prasad embarked on a on a new journey having spent 13 years with the company. Alfred took a trip to Athens and was taken with the Greek cuisine, culture and way of life. Returning to London, Alfred joined Suvlaki as Executive Chef in 2016. 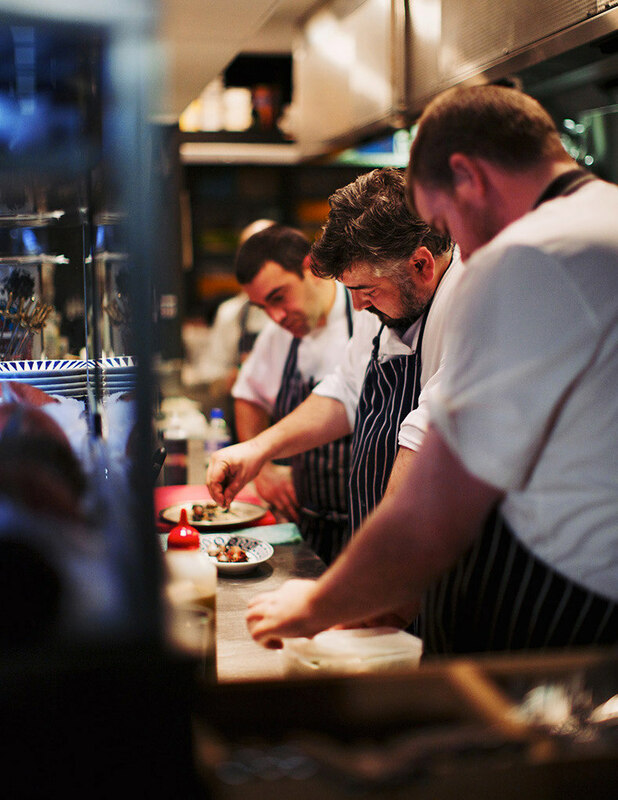 Suvlaki Soho is headed by Chef Thanasis Karzis and Suvlaki Shoreditch by Chef Davide Marzullo. Afroditi is a Greek-born, London-based designer and the Creative Director of Afroditi Krassa. In her 15 year career, she has launched numerous product collections, designed over 75 hospitality brands and interiors and has won more than 25 awards. 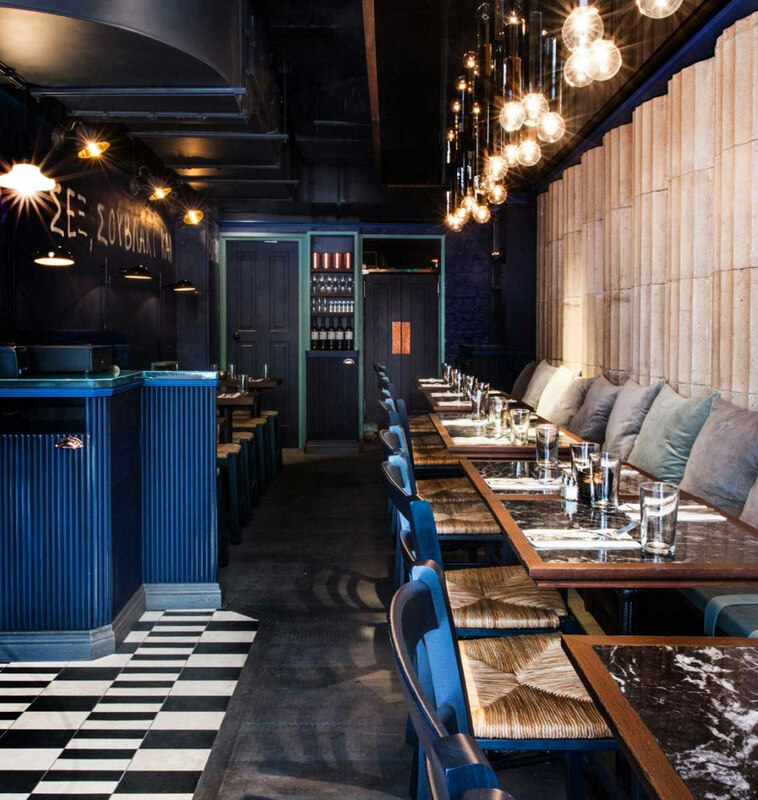 Afroditi has taken inspiration from urban Athenian architecture with bold blue colouring and communal tables. The Greek poem, Ithaca, is hand written on the Soho restaurant’s exterior, which reflects the importance of the journey in life, which served as great inspiration for the founders. 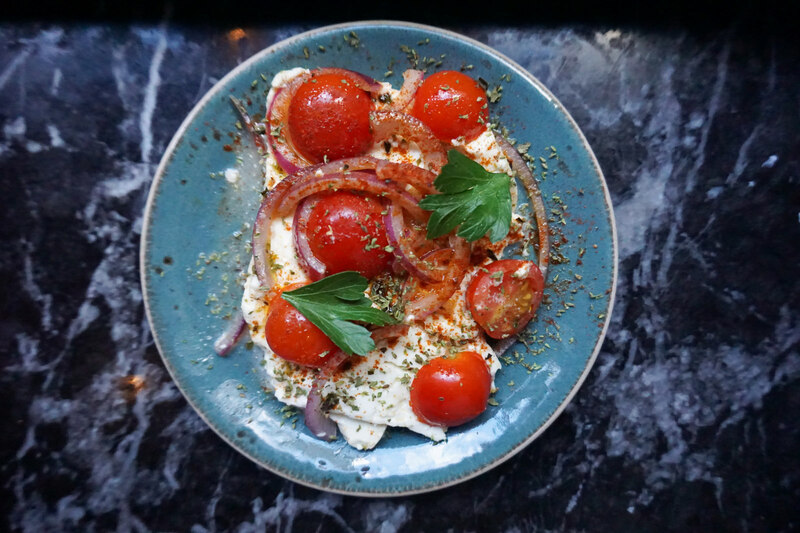 For the Shoreditch site, Afroditi has drawn on the inspiration and architecture of modern Athens with a hint of neoclassicism, the restaurant has a textured, pared back aesthetic with warm, earthy tones of blue and a grey marble shopfront. Following great demand we are delighted to be working with opentable in order to offer limited availability for reservations. Please note that we still operate primarily on a walk in basis and apply a first come / first served policy. If we are full at the time of your arrival, we will happily note your number and call you when your table is ready so that you do not have to wait in a queue but can have a drink or a walk while you are waiting for your table. Generally speaking, there is very little or no wait outside Friday and Saturday evenings.